Matte silver chrome with chain link hanger. Ideal for lighting up a tent or accenting any banquet space. 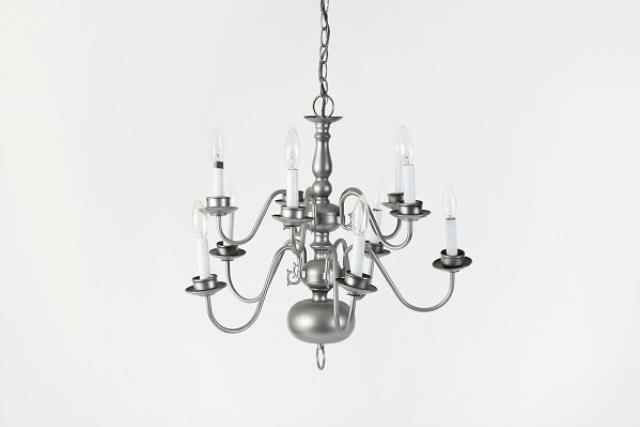 * Please call us with any questions about our chandelier silver 10 lt rentals in Columbia and Jefferson City MO.